Map of our 2009 excursion around the Yaeyama Islands. This time, the weather permitted carrying out our itinerary more or less as planned, and with no close calls. 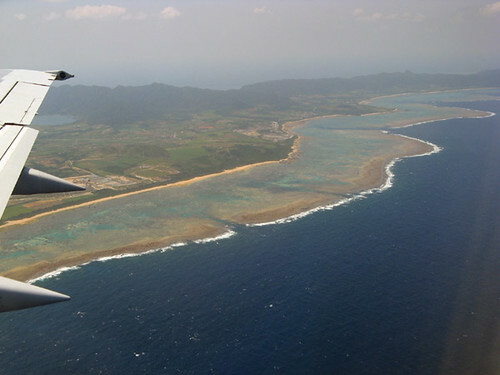 The coral reefs of Ishigaki Island greet us shortly before touchdown at Ishigaki Airport. Clear water and clean air atop the largest reef/lagoon system in Japan. 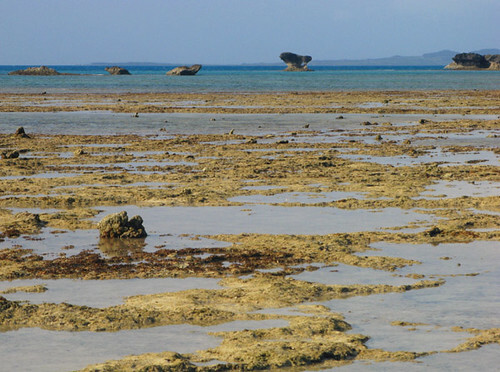 The reef at Kuroshima, low tide. We camped just a little higher on the beach, ever wary of the rising waters in the darkness. 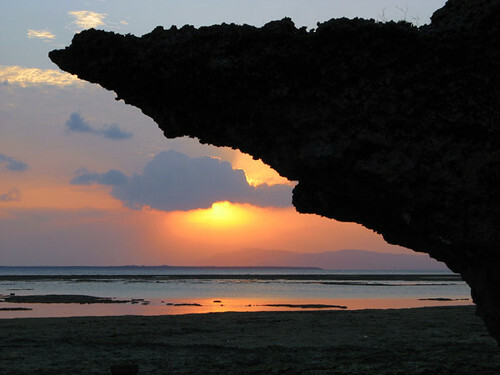 At low water, a walk along the reefs is very scenic and enjoyable. One can see many creatures who, intentionally or otherwise, have become temporarily stranded in the shallow tidal pools. Crabs such as this one are common, as are moray eels who are able to crawl snakelike from pool to pool, making quick work of many small fish trapped therein. 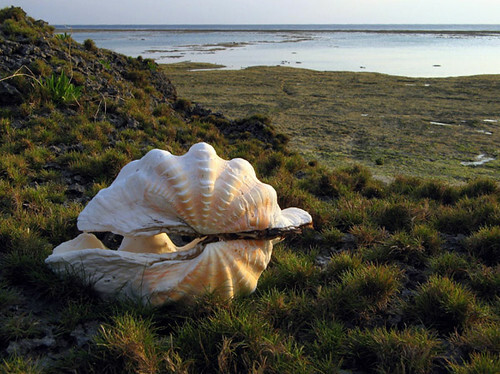 A giant clam's shell on display on the Kuroshima coastline. 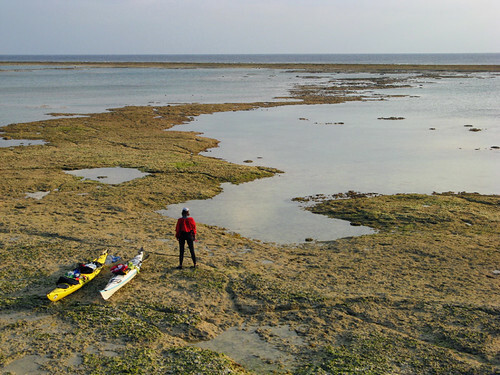 Low tide on our second day caught us upon the reefs of Aragusuku Island. Here and elsewhere, mushroom like rock formations dot the landscape. The mushrooms are created over the eons by the action of storm waves on the very resistant limestone rocks. Eventually the stem wears through and the rocks become large loose boulders such as the ones also visible here. 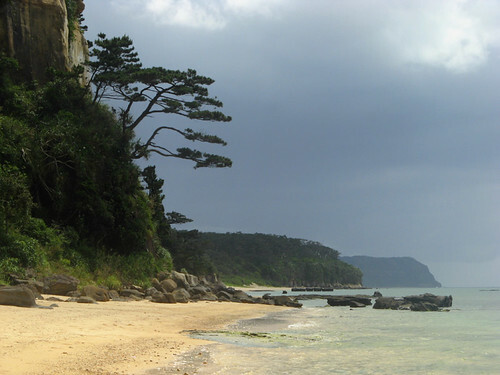 Most of Iriomote's south coast is rough and backed by tall cliffs; it is usually unapproachable either by sea or land. 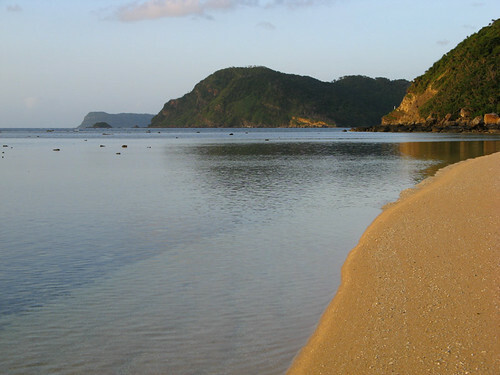 An exception is Kanogawa beach, a gem of a place the likes of which are few in Japan. 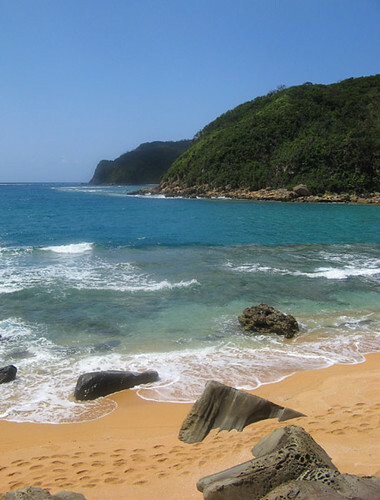 Nohama beach, located just around Cape Paimi, the westernmost and wildest point of Iriomote, is itself not far behind in scenic value. Getting around the cape can be infamously difficult due to reefs upon which strong currents and waves meet with destructive force. We had good luck again as we rounded the cape, finding calm conditions in spite of the rough sea we left behind us. Here we spent the third night of our trip. At the reef just out from Nohama we discovered what is probably the best snorkeling point at Iriomote. 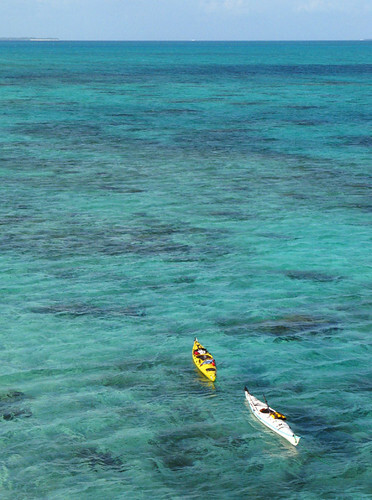 Exposed as it is to the open sea, yet somewhat protected from the annihilating effects of typhoons, it showcases a large variety and abundance of creatures in crystal clear water. 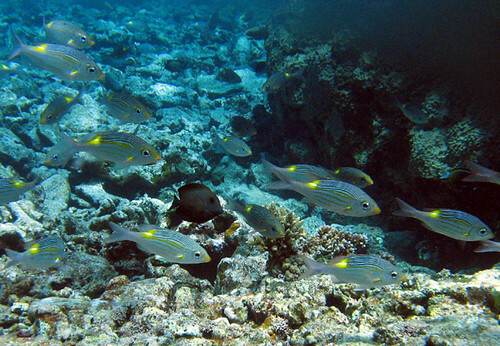 These fish have a fluorescent yellow spot whose evolutionary purpose becomes clear as one watches them swim in a school. As one's eyes become irresistably drawn towards these moving points of color, it becomes hard to keep track of each fish's individual movements. 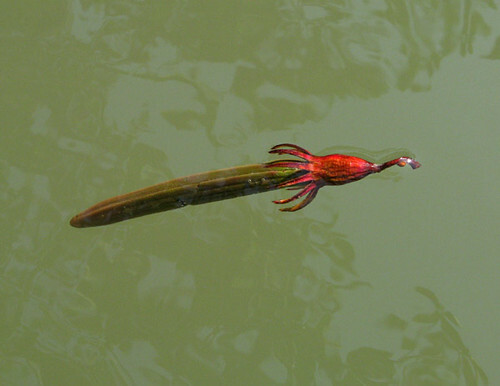 This evidently makes is easier for the fish to evade predators. 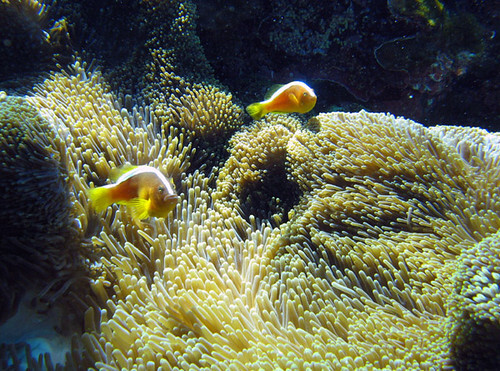 Other fish such as these have found an equally amazing way to protect themselves. Somehow, their skin is immune to the nasty sting of the sea-anemone. 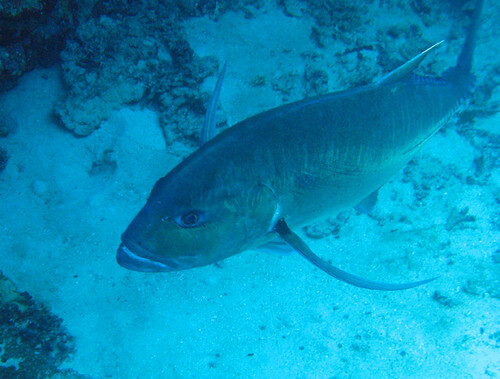 Retreating into its mass of soft, poisonous tentacles, the fish can feel completely safe. For those lucky enough to be at the top of the food chain, size is often the reason for their dominance, like this GT which was not too much smaller than myself. 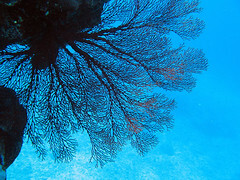 Feeling just slightly uncomfortable in the presence of humans, it ambled slowly away from the reef channel into even deeper water, an unfortunately we were unable to capture a picture with one of us in it for scale. Next day it was time to head northeast. 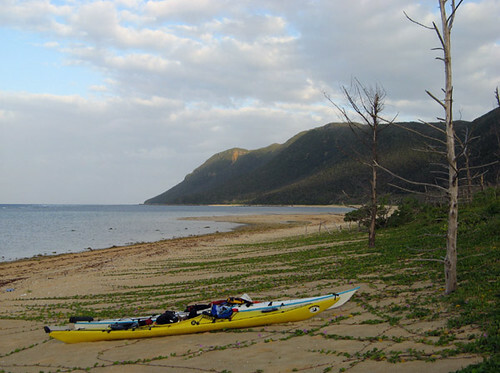 The coast here is complex, cut into many narrow bays, promontories, and outlying islands. Rivers with mangrove swamps and waterfalls upstream are to be found in each of the bays; we'd already visited most of these during past trips when bad weather precluded us from being out on the reefs. 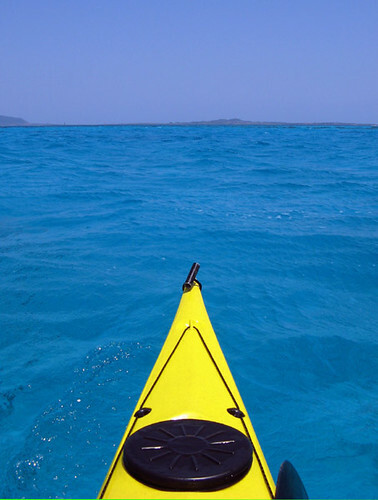 Today, a rare one of windless, sunny skies, we floated on calm crystal waters over the colorful reefs. Muddy water from the swampy estuaries clouds the sea here and there, and mangrove seeds can frequently be seen floating on the sea. As they become waterlogged, these seeds orient themselves vertically. With luck, they get stuck that way in the mud at low tide and in no time at all roots and leaves sprout - a new tree is born. The Adan is also typical of Okinawa's coastal vegetation, a scrubby palm forming low thickets along the beaches. The springy branches are well adapted to weathering typhoons, and indeed such thickets provide ideal cover for taking shelter from high winds, as there is no worry about getting hit by a falling tree or flying branch. 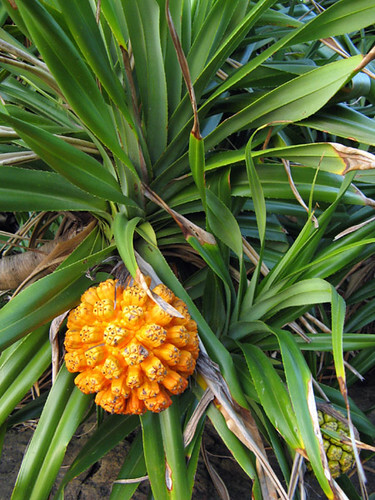 The pineapple-like fruit of the Adan is dry inside and not easily edible. 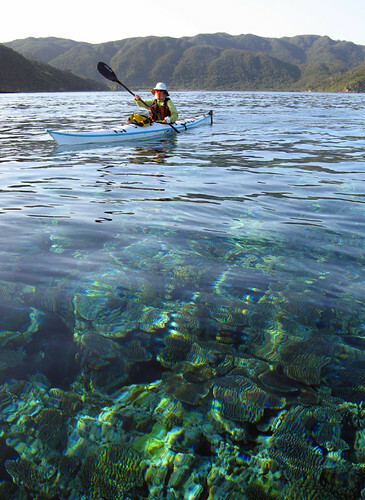 Kilometers of picturesque beaches and a less exposed, more accessible location (as compared to the rugged south coast) makes this northwest coast of Iriomote relatively popular. We even saw, for the first time ever, several kayakers and hikers. Surely this is a side effect of nearby Ishigaki's sudden increase in popularity as a tourist destination. Nevertheless, a few people here and there is a far cry from how this place would be were it not located in a country where creative travel is still a rarity. 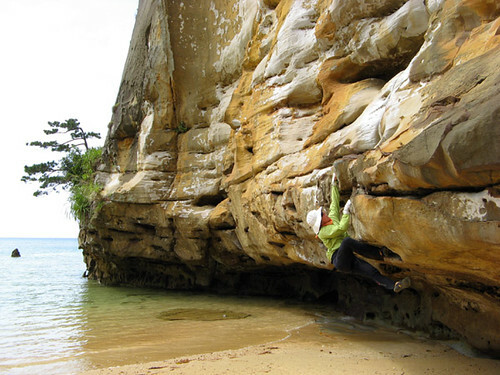 Leanne tries out a problem at a newly discovered, quality boulder area. Our bodies felt heavy and clumsy on the overhanging rock. Was it the heat and humidty, or our recent climbing hiatus? Back in civilization, we took a stroll around the quaint village of Sonai, near the end of the road on this side of the island. 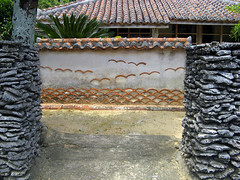 As elsewhere in Yaeyama, most houses are surrounded by stone walls to protect them from flying objects during typhoons. The entrances also have an offset wall for protection; the owner of this one got creative with some roof tiles. A pilgrimage to Barasu-jima, a tiny bar of coral gravel several kilometers off Iriomte's north coast, has become par for the course on our visits here. The weather seems to turn inclement every time we land here and this day was no exception. Barasu-jima's very existence is a bit of a mystery, but wave action from different directions has certainly got something to do with it. 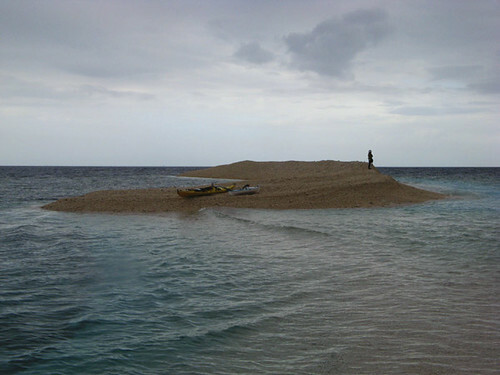 Perhaps Hatoma-jima, a small island some kilometers to the north, acts as a lens focusing the waves here from both sides. 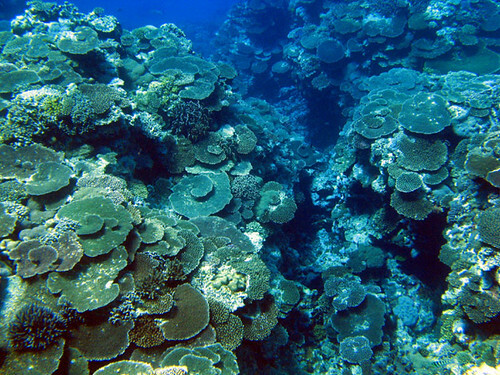 In any case, Barasu-jima, a heap of coral fragments lying upon a flat reef about 10m deep, evidently moves as storm patterns change from year to year. 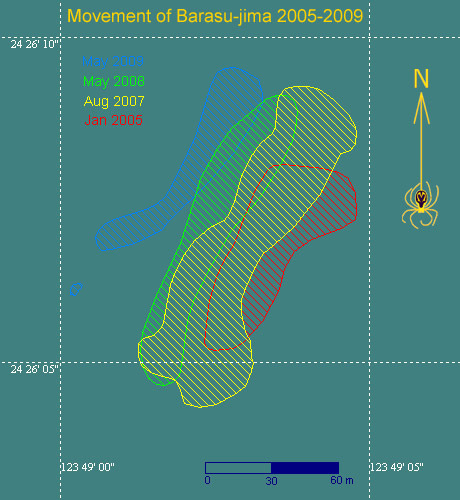 This map records such movements; the individual outlines were recorded by walking with the GPS along the islet's perimeter during each of our visits. A gradual shifting to the north-west seems to be occurring. 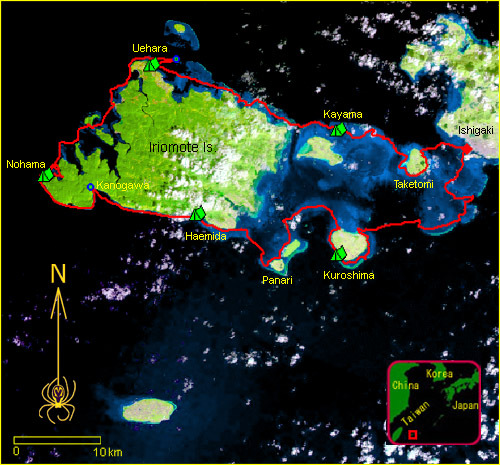 On our return to Ishigaki, we again crossed the enormous reef system between Iriomote and Ishigaki islands. Shallow turquoise waters stretched nearly as far as the eye could see. We climbed a large rock perched on the reef to get a better view on this windy day. We had a final free day before our flights home, and we decided to spend the morning riding the slow boat back to Iriomote. Among the high-speed ferries that do brisk business shuttling tourists to and fro, we had seen the 'Kariyushi', a slow, rusty tub put-putting along among the reefs. We decided it would be fun to ride it. 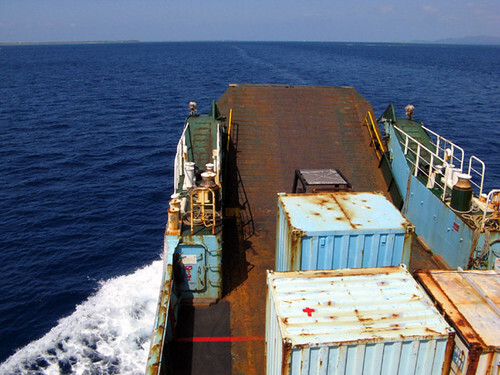 Today there were no passengers or cars, just some containers of necessities for the 3,000 or so inhabitants of Iriomote. The two hour tour was delightful and interesting, the ship dodging nasty-looking reefs most of the way across the lagoon. Of the four-member crew, one deck hand was sleeping and two more were trawling for fish off the stern, leaving the captain to steer her by himself. Merely steering the ship, however, was too mundane of the captain who, like all others we have met so far, was a real character. 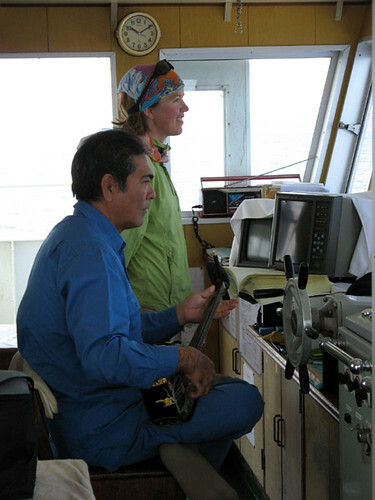 He spent most of the way playing his sanshin and singing Okinawan songs, giving the wheel an occasional whirl when needed. Leanne took the opportunity to pick up a few pointers (about the music), and the captain was, not surprisingly, a strict and demanding teacher. As we disembarked, he categorically refused our request to record a song or two in the quiet harbor. Not long after we spotted him sitting on the pier, still singing and playing. Here was an Okinawan as real as they come. Regretfully, the Kariyushi would not be sailing back that day, giving us no choice bu to take a quick ride back to Ishigaki in the tourist speedboat. By mid-afternoon, we were back in the city. Renting a moped, we were soon scooting through Ishigaki's rural countryside. 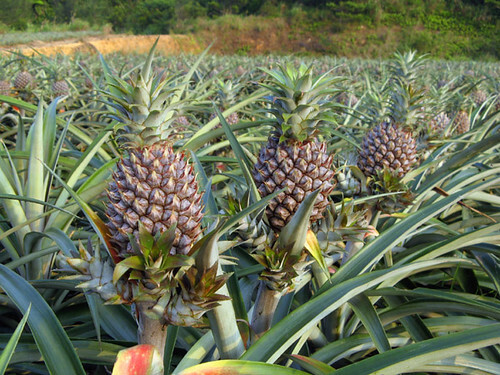 Pineapples, one of the island's main products, were just ripening in the fields and one could sample their delicious juice (albeit at inflated tourist prices) at numerous stands along the road. On this, our fourth visit to Yaeyama, the weather had again been less than perfect, but there were a few sunny days and the sea did allow us to round Cape Paimi, so we couldn't complain. This is one of our favorite places in our corner of the world and we will keep coming back.